Adam Foster and The Phantoms | NoCoda. What It Sounds Like: Swampy, southern D.I.Y. garage rock. Though she never was ill / She took them still. Had no place to go / When it got cold. I sure hope I see them when I die. The poor little lad / Just walked around sad. Who used his two hands / To turn her face into jam. You know the last place you’d ever want to put Adam Foster? It would be on a stage with the likes of Adam Levine and Blake Shelton in their large, conspicuous red chairs, with their backs turned to him. Adam Foster isn’t primary a singer, nor is he a primarily a guitar player. No, what he is, at his core, is a duel songwriter/frontman, combining his two skills into a mesh that isn’t easily able to be seperated. Not showy, flamboyant, or self-seeking; he’s simply comfortable in his own skin to present his unique persona to his audience. You can get hints of it from his vocal delivery, but it can only truly be captured live. He’s the Craig Finn of Nashville with dashes of Jack White – impossible to immitate, far enough off the beaten path to achieve international superstardom, but sly and whitty enough to be able to form a public following that would crave for him to be nothing more than what he is: a musician, a frontman, and an entertainer – all unique onto himself. There’s a lot of musicians that play the bar scene, but there are not a lot of Adam Fosters. He’s joined here by The Phantoms (Cobi Ferguson, lead guitar / Justin Croft, bass / Maurice Barrett, drums), and together they’ve crafted a great record, without question. If all you listen to is 107.5 The River, it’s going to be harder to grasp, but if you’ve opened up your mind a little bit and are able to be satisfied with more than the next ultra-produced Daughtry single, you’ll be in for a treat. It’s not a convential record by a long shot – there’s not a formula in sight. A Good Place is a sunny day piece of indie pop/rock, while The Nearest Clique dives into the laid-back steady punk rock scene, and Brokenhearted (Can’t Get Out Of Bed) is a southern-friend, slow-burning chug of dispair that eruptes into a wah-ed out squeal of guitar and noise. There’s even a cover of the Hank Williams’ classic Honky Tonkin’! The heaviest groove on the record comes in the form of Too Poor To Drink, an easy favorite on a first listen through. If I was back in high-school, I’m sure I would have described it as having just a sweet, slick little groove man. Ah, who are we kidding? That’s still exactly the way I’d speak on it. I’m too poor to drink / too poor to smoke / just too damn broke he croons, as Cobi lets his weapon of choice scream. Its finale is just heavy and satisfying; it’s not to be missed. Adam’s unconvential storytelling gives him a huge draw as an artist. It shines out like two-thousand lumens on the melodic and beautiful You Will Always Be A Kid To Me, which may either be a snapshot of a moment, or a guesture thirty years in the making. In either case, its minimal lyrics hit on a level that is deeper than the skin. Equal credit could be given to the solid album opener All My Friends, a sonically “not quite happy but not quite sad” journey down memory lane of the downtrodden and broken; the hopeless clinging onto hope of a reunion in this life, or the next. Then again, if you want to dust off your dacin’ shoes and just get down without another care in the world, look no further than Monday Morning Boulevard. Justin’s bass riff is enough to get even the most stubborn feet off the floor and into the center of the room. I’ve heard The Hold Steady called “America’s last great bar band”. 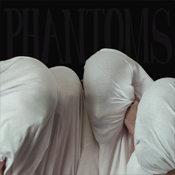 What Adam Foster & The Phantoms need is an opening slot on that tour. Mr. Finn, do you hear me? The balance of dedication in I’ll Never Leave You Behind against the dispair of Wounded is the mark of a seasoned songwriter. This is gut-level stuff without all the unnecessary bells and whistles, and needs to be shared with the world.